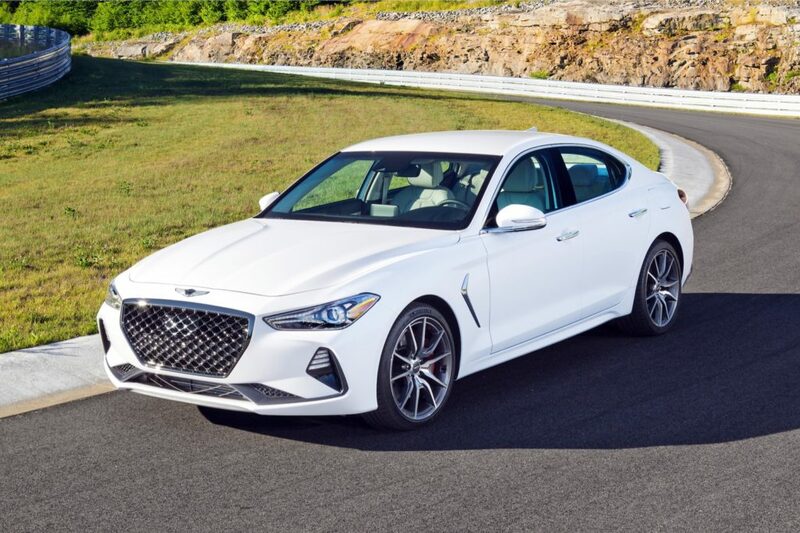 The Genesis brand finally elevated Hyundai into the luxury segment when it launched in 2015 and although it launched with the G80 and G90 sedans, the 2019 G70 is its best model yet. The Genesis G70 is the brand’s answer to the BMW 3 Series and countless other compact luxury sedans. The good news is that it’s great. The Genesis G70 is based on a shortened version of the rear-wheel drive platform that’s used by the Kia Stinger. 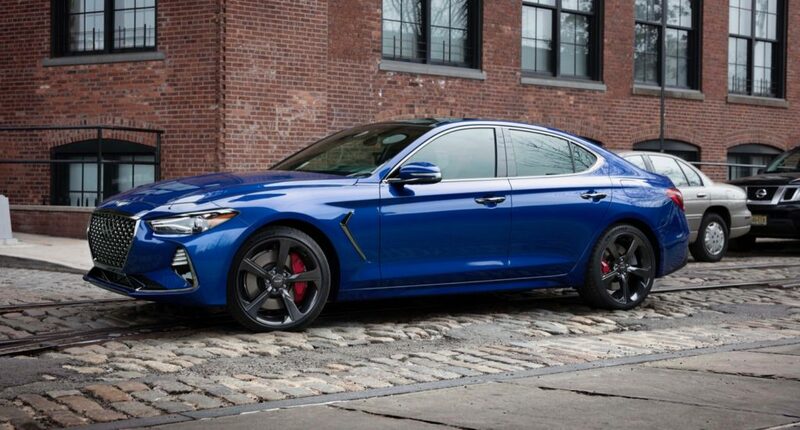 The Genesis G70 is offered in two versions, the base version is powered by a 252-hp 2.0L turbocharged four-cylinder or if you want more power there’s the excelled 365-hp twin-turbocharged 3.3L V6. While rear-wheel drive is standard, all-wheel drive is optional. Also for those “save the manual” fans, the 2.0L is available with a six-speed manual. If you prefer to shift the gears yourself, an eight-speed automatic is available with the four-cylinder and standard with the V6. The G70 2.0T is rated at 22/30 mpg with the automatic and rear-wheel drive, while the manual equipped version is rated at 18/28 mpg. The all-wheel drive G70 2.0T is rated at 21/28 mpg. The G70 3.3T with rear-wheel drive is rated at 18/26 mpg and if you want the all-wheel drive version it’s rated at 18/25 mpg. 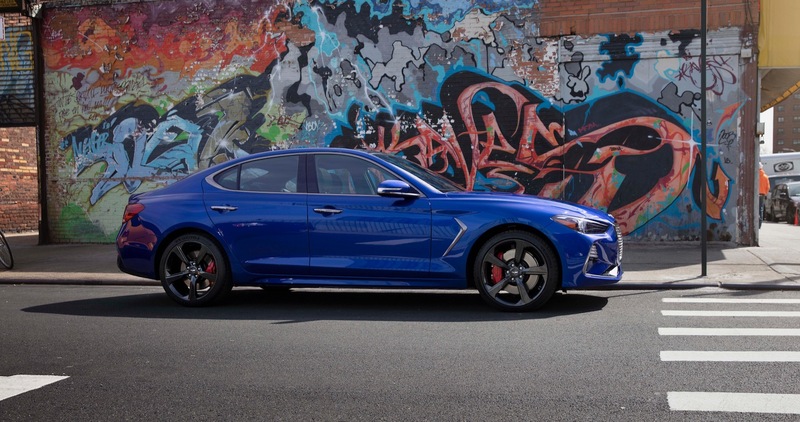 Although the G70 does share its platform with the Stinger, the G70 is lighter and more nimble than its Kia cousin. 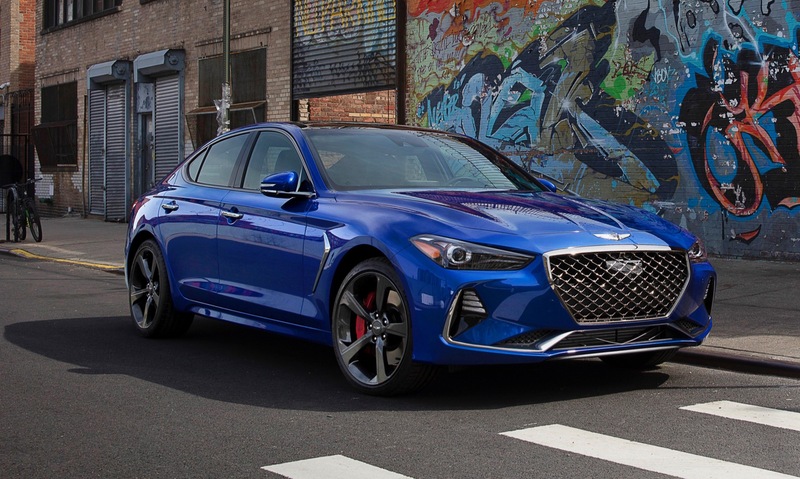 On the outside, the G70 is the best looking of the three Genesis sedans. 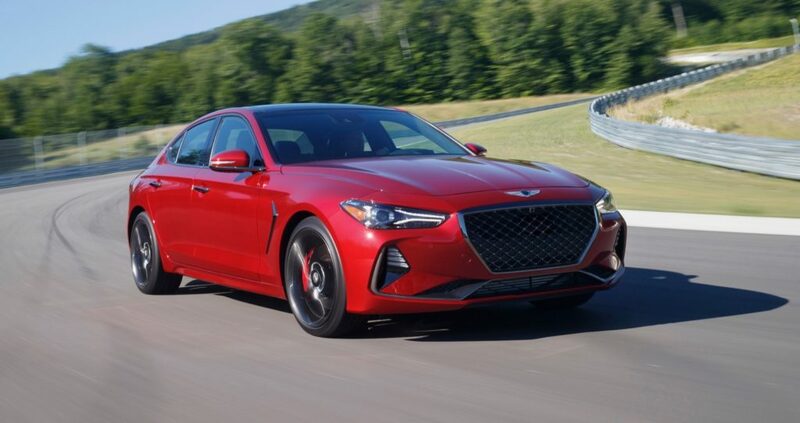 Its sculpted exterior gives the G70 an athletic stance, although from some angles we did notice that it does borrow some styling cues from its rivals, like the Acura TLX and Alfa Romeo Giulia. Either way the G70 is a handsome compact luxury sports sedan that looks the part. Inside the G70’s interior is packed with features, but but its overall design doesn’t really stand out. 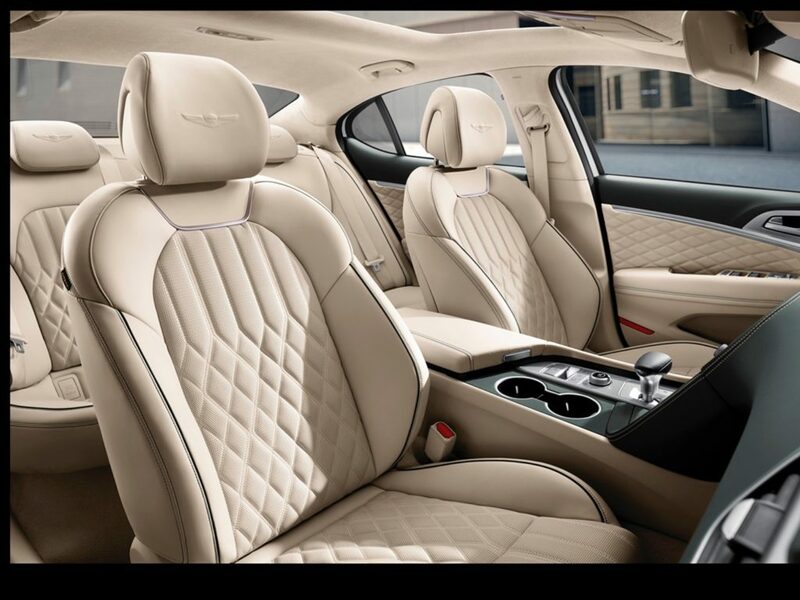 The interior is wrapped in high-quality materials and the available quilted seats and door inserts do give it a more luxurious feel. 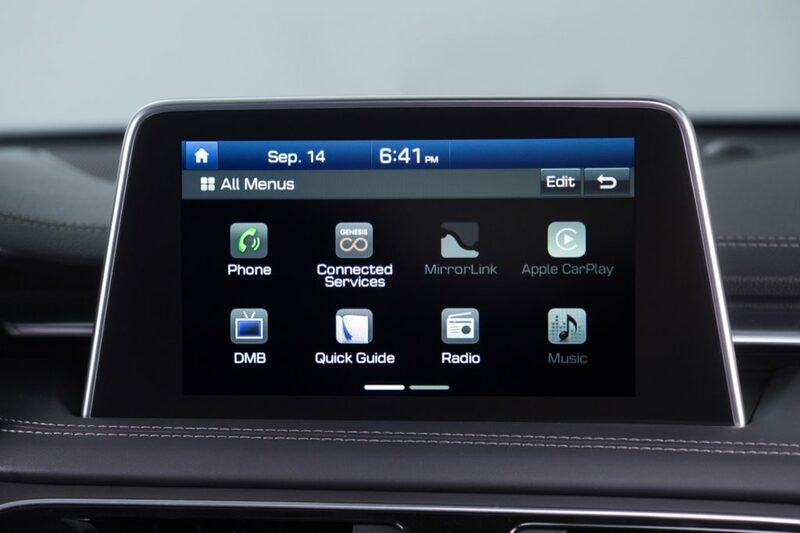 There are a few parts that we do wish looked a bit more luxurious, like the gauge cluster, which already looks old and the standard eight-inch touchscreen looks a bit small. Your friends in the back may also complain a bit, since the rear space is a bit tight. Genesis dropped off a top spec G70 3.3T for us to spend some time with and although we wish it was available with a manual, the 3.3L turbo doesn’t disappoint. The twin-turbocharged 3.3L V6 generates 365 horsepower and 376 lb-ft. of torque. Genesis says that the G70 3.3T can reach 60 mph in only 4.5 seconds. All automatic versions come standard with launch control. Push the pedal to the floor and the G70 3.3T will make you smile as the sedan launches forward. The 376 lb-ft. of torque spools up fast and the steering is nicely weighted to make the G70 a joy to drive on those back country roads. Brembo brakes are also optional to keep everything under control. Given its smaller footprint compared to the Stinger, the G70 feels more planted on the road and a bit more fun to toss around. During everyday driving, the G70’s sport suspension also manages to smooth out the road’s imperfections nicely. The Genesis brand is still a bit young, but since the G70 is the first completely new Genesis model that was never branded as a Hyundai, the future looks promising. The G70 is an engaging, feature packed compact luxury sports sedan that can hold its own against rivals, like the Audi A4, BMW 3 Series and Mercedes-Benz C-Class. The 2019 Genesis G70 2.0T starts at $34,900, while the G70 3.3T starts at $43,750.